What better gift for a traveller than an unbreakable, beautiful piece of luggage? Away Travel has a variety of size options, colours and nifty extras like packing cubes and monogrammed bag tags. They also teamed up with Gray Malin—a photographer who specializes in gorgeous aerial photographs—to create a custom line of suitcases. My personal favourite (and the one I actually have and travel everywhere with) is the Alpine print that was captured in my home country. Image via Herschel Supply Co.
﻿Packing cubes are the one thing I never go on a trip without. They keep suitcases neat and organized while travelling, which is why they're a great gift for an organized and frequent traveller. There's something about a travel journal that just captures the emotions of travelling. Whether it's writing about the smells, sights or simply a specific memory, this is absolutely my favourite way to look back on a trip and remember exactly how I was feeling in the moment. Grab one of these for your traveller and they can enjoy reminiscing in their adventures as well. 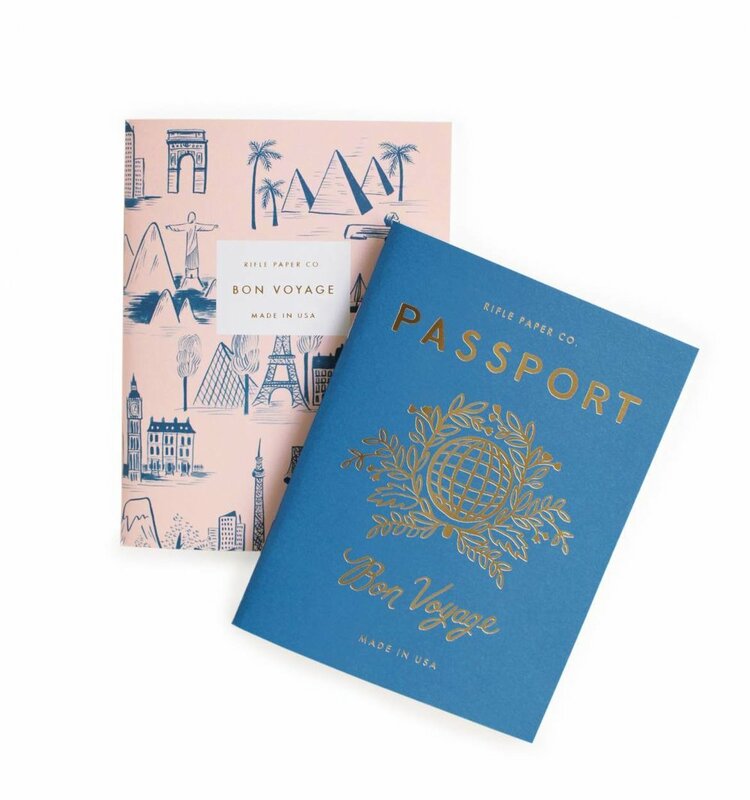 I can't get over how cute these travel journals from Rifle Paper Co. are! Another super practical gift is a travel cord roll. With an abundance of adapters, chargers and headphones, things can often get tangled up or temporarily lost in a suitcase. This case ensures that all of these things stay packed and are easy to access mid-flight. ﻿Planes can get incredibly chilly, so a blanket scarf is a great gift to keep your traveller cozy. It also doubles as a fashionable piece to add to an outfit without the extra luggage weight. Bonus! ﻿It can also get pretty loud on planes, trains and buses, so a pair of stylish noise-cancelling headphones are a travel must-have. Rose gold headphones are not only functional, but they also make a chic accessory. ﻿For those who want to fill their home with reminders of travel, this gorgeous copper globe is the perfect tabletop addition. It's also great for daydreaming about future trips! Travelling never looked so pretty! This fun llama passport cover keeps the most delicate piece of travel equipment—your passport—safe and sound. It also helps hold those boarding passes you certainly don't want to lose. What's your favourite item from the list above? What gift are you getting for the traveller on your list?